Commitment. Communication. Concern. Our Recipe for Building Trust. For anyone who’s had their trust breached by a family member, confidant, or business partner, you know this all too well. At Whittier Trust, we’re cognizant of that. So when clients place their trust and livelihoods in our hands, we bend over backward to keep it. That’s probably a large reason why we remain the oldest and largest multifamily office headquartered on the West Coast, working hand in glove with just under 400 clients. They come. They stay. Why? Because of our unique approach to building trust that begins by simply listening to our valued clients. 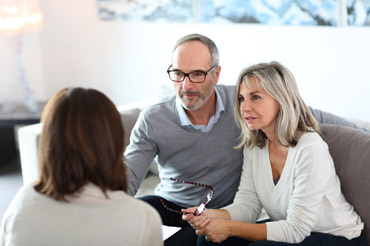 Most advisors court clients by telling them what they want to hear: promises of sizeable returns, the lowest fees in the industry, giving them general lip service. We think there’s a better way to win your business. Each relationship at Whittier is forged by listening carefully to a client’s situation and concerns, then working to develop ideas and recommendations that serve them, not our bottom line. With a 20:1 client to advisor ratio (compared to the industry average of 85:1), you can be sure that we’re ready and able to offer that personal attention in an industry that has lost the personal touch. We’re in the value-add business. Because we don’t have proprietary products, we’ll never point you towards, or steer you away from, options that work in your favor. Because many of our staff have been with the company for over ten years, they’re also growing with you, working to build and nurture your relationship. We don’t see ourselves as wealth managers, but as trusted advisors for your business and personal life. When life happens, we’re here. We take this role seriously and dedicate the time required to understand and assist with any and all client concerns. The average age of our client relationship is measured in generations, not years. Potential clients often remark on the minimal fees they are assessed. After close examination, our experts are able to find those hidden and embedded fees clients were about to be charged through bundled options which only add complexity and confusion. Much like you would trust an important medical procedure to professionals with the best track record for success, attention to detail, and general ease you feel when in their care—those same principles apply to your financial health as well. We believe that joining forces with a financial advisor should be about alleviating burdens, not adding to them. When welcoming a new client into the Whittier Trust family, and annually thereafter, we carefully summarize the many services being provided in detail with attention to fees. We don’t hide from them because we know their value. That’s how Whittier Trust has built its business, since our founding as a Family Office for the Whittier family in 1935. Whether personal or business-based, all enduring relationships must be constantly maintained. We’re up for the challenge. We’d love to give you our sincere take on ways to improve and bring clarity to your legacy—allowing you the time to enjoy the life you’ve worked hard to build.